Crank Ultra is by far and hands down the most incredible product you will ever try. 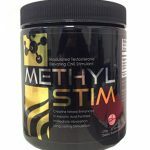 Its extreme potency cannot fully be described without experiencing it! 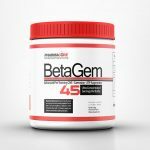 One scoop of Crank Ultra 30 minutes before your most vigorous workout will help you push your body to limits and passed barriers you never thought possible. Crank Ultra has a precise blend of rare stimulants as well as a smooth flow of intracellular volume enhancers to help increase blood flow, muscle performance and overall vasodilatation. 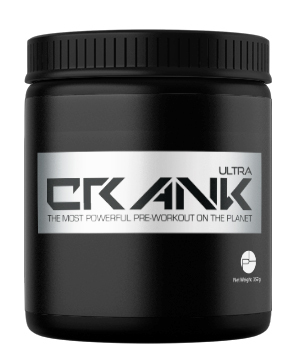 Crank Ultra will be the last pre-workout energy supplement you ever use, Guaranteed! 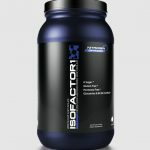 Directions for use: Start with 1/2 scoop 30 minutes before your workout to assess tolerance. 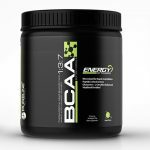 If you can handle a ½ scoop then gradually increase the dose to 1 full scoop before your next training session. 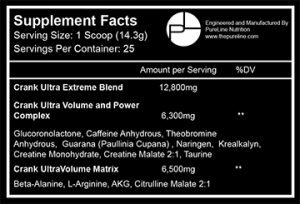 Do not exceed 2 scoops in a 24 hour period. Always mix with 6-8oz of water. work outs are intense. flavors are amazing.